Bryant Park (B, D, F, M, 7), Times Square (1, 2, 3, N, Q, R, 7, S), Grand Central (4, 5, 6, 7). To inquire about large groups and private dining, contact Special Events at 212-331-0328 or email events@brguestinc.com. Catering and takeout options available. Please call 212-336-5454. A sultry steakhouse in New York City’s Midtown where old-world glamour meets modern style and sophistication. 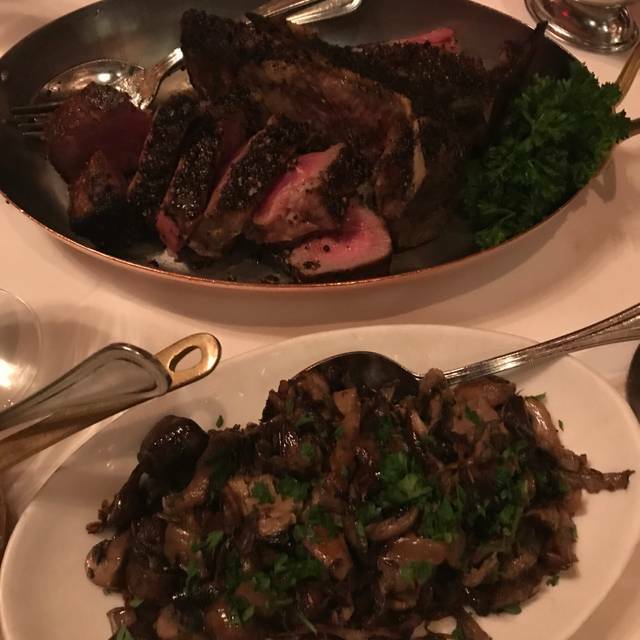 Experience the combination of charred cuts perfectly paired with decadent sides, such as Truffle Creamed Spinach and Goose Fat Potatoes. And be sure to save room for the famed 24-Layer Chocolate Cake. Visit our second NYC location, in Greenwich Village or on the Las Vegas Strip at Planet Hollywood Resort & Casino. Excellent service, staff really knows the menu well, very helpful, moderately lively for a Saturday night, food was fantastic, will be back again soon. This restaurant hits the mark EVERY time! 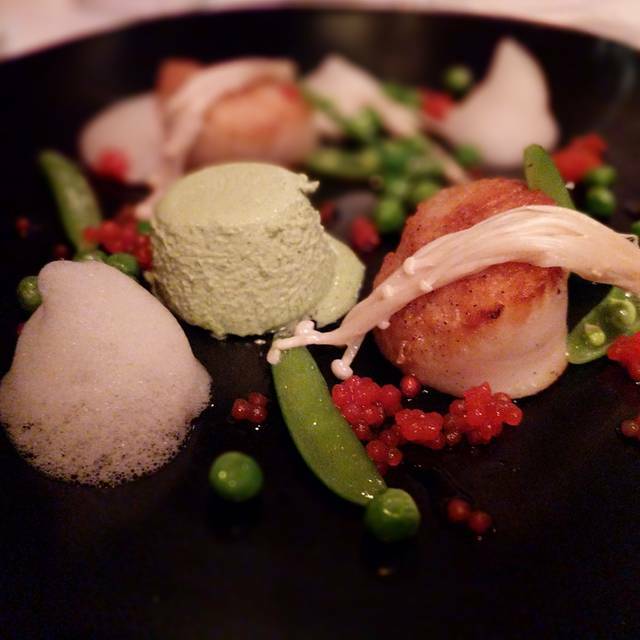 Fabulous food, top shelf service and a great wine list. Go when hungry and be completely satisfied by the total offering. Five trips now and they never miss a beat. A favourite for every NY trip. Perfect dinner in mid-town. Everything from the oysters to the steaks to the chocolate cake — amazing! Also the wait staff was friendly and more than helpful with selecting dishes. My husband’s favorite restaurant! This review pertains to a business lunch. The food was mediocre, so the small portions just seemed stingy. The server did a good job, but presented a sour disposition. The dining room was reasonably busy, pleasant, and not too noisy: conversation was easy at normal volume. Better for dinner perhaps, or more festive occasion. As usual the food was exceptional. The service wasn’t up to their usual expectation. That might have been my friends fault. She couldn’t make up her mind. They made my friends birthday special! 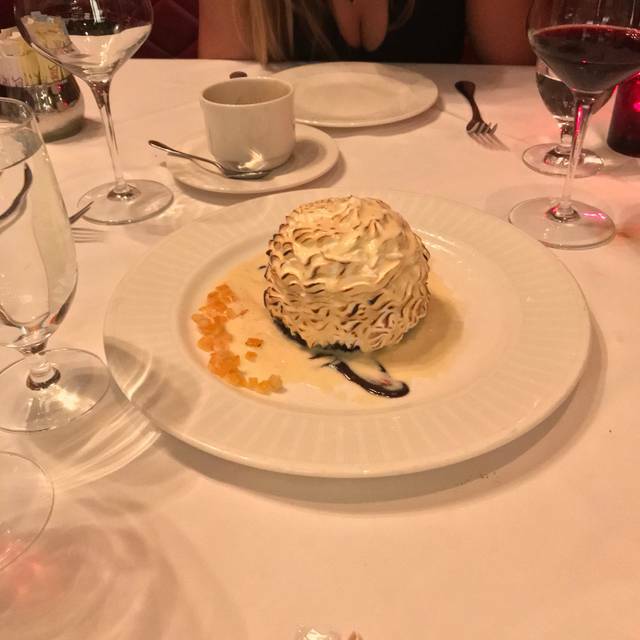 I was very disappointed in the both the food and service at Strip House. 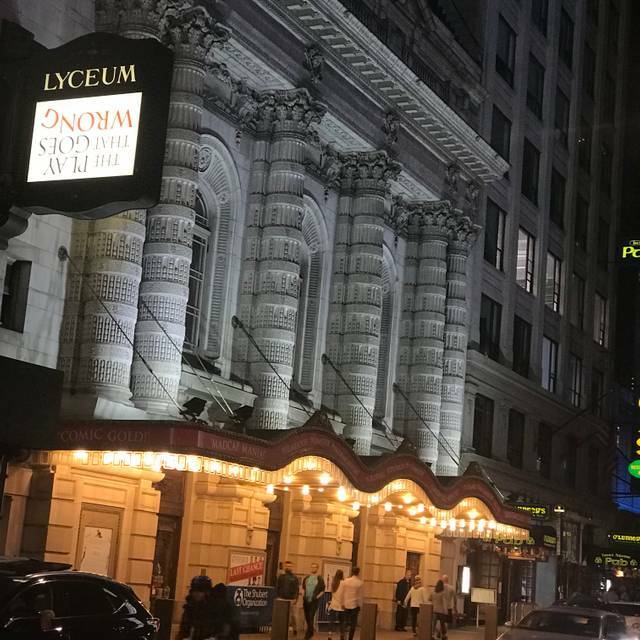 I had a 6PM reservation on a Friday night and was catching a play at 8PM. When we arrived, the restaurant was not that busy and we were seated immediately. The waiter came over rather quickly and took our drink order and read us the specials of the night. He came back with the drinks, dropped them on the table and left. We weren't asked if we were ready to order or had any questions on the menu. By the time he came back and we ordered it was after 6:30. About 30 minutes later I had to flag down the waiter to ask him to check on our food. He went to the kitchen and immediately returned with our steaks. This leads me to believe that they were ready and he forgot about them. It was now after 7PM- I'm glad we didn't order appetizers otherwise we would have never made the play. Steaks were cooked perfectly but lacked in flavor. 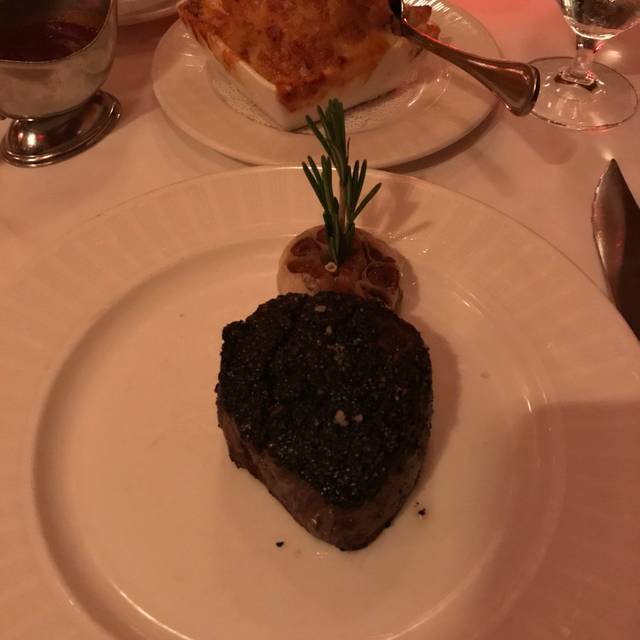 Nothing special for the $52 charged for an 8oz steak. We didn't see the waiter again- not even to check if everything was OK with the food or if we wanted a refill of drinks. After our plates were cleared - we waited again. I had to flag down the manager this time to get a dessert menu and asked if she can bring it out immediately as it was now 7:35 and the play would begin shortly. She took our order and had the dessert out to us in five minutes. We asked for the check to be delivered too as we still hadn't seen our waiter. That's when the waiter finally appeared to check on us. When I informed him for the second time that we were catching a play, he looked at his watch and asked what time it started. For a restaurant in the theater district, play times is something they should be aware of. I will not be back. I left two hours between reservation and the play starting to enjoy a nice meal. Instead I sat in a restaurant for over an hour and my meal was squeezed into 40 minutes. Such a disappointment. My advice- eat somewhere else. Excellent food. Strip steak was perfect. Sides were on point. Little noisy and lighting was touch too bright (i like it dark). In my opinion the steaks were over seasoned and way overpriced! 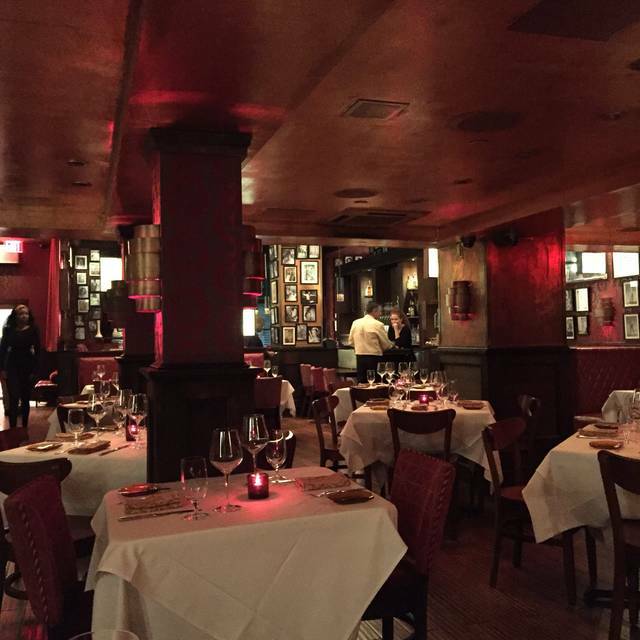 I’ve been to many many Steakhouse is in New York City and around the country and this was by far one of the priciest! The quality of the steak was definitely on point, the waiters and maître d’ was phenomenal! A very modern location with great food and wine and an inviting atmosphere. Great for groups. As always , food and drinks were superb. Staff makes excellent suggestions and provides very informative service. Very indulgent atmosphere. Highly recommended!!! This was an amazing experience. We are from out of town and recommended the restaurant. The server, Alan was amazing! He did not rush us, we had complimentary drinks and dessert, and the perfect amount of conversation with the server. He connected with us and spaced our meal out great. The steaks were AMAZING! As was everything else. If you are to go anywhere for dinner, come here! The service from the hostess and wait staff were very good as always. The mixed drinks from the bar were excellent. 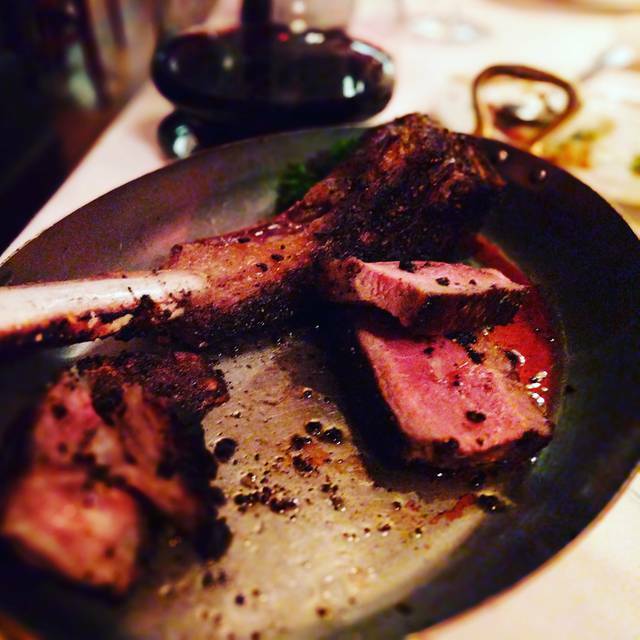 However, the lamb chops and steak we ordered fell very short of amazing. The lamb came out too rare and it looked worse after they cooked it a bit more. As for the steak, it was less than amazing tasting and tough. We’ve eaten here numerous times, yet lately the quality is starting to lack. Management should pay attention, as the word has spread in the neighborhood that the meal isn’t really worth the price they charge as of late. Great atmosphere and outstanding service! Made our party feel like we were important!! We arrived early for our reservation, but they were able seat us anyway. Not bad for a Saturday night in Midtown Manhattan. Our waiter, Thomas greeted us promptly and informed us of the preparation standards (glad he did-all steaks are peppered, and I'm not a fan) but said we could order any way we wanted. He was extremely helpful with side recommendations and specials 'off the menu'. They have an excellent wine by the glass menu and still offered a sample to ensure quality and 'freshness'. We were not rushed at all and enjoyed a leisurely meal. There were a couple larger groups around us that were a little obnoxious but tolerable, so if you're looking for a quieter place, maybe ask to sit somewhere else (we were upstairs). It did not hamper our enjoyment of the meal however. It was served rather quickly after ordering, but we didn't have any starters either. The bread selection included hot pretzel rolls shaped like bialys that were delicious. We both had filets that were cooked to perfection, and were probably at the top of my 'best steak ever' list. I had the crispy Brussel Sprouts that were out of this world and my husband had the baked potato which came with bacon, sour cream, butter and cheddar on the side to dress to your liking....not big enough to share unless you have other sides as well. The sprouts were definitely enough to share. Overall an amazing meal. Thomas, again was great and served us well. Well worth the trip and not a bad value for NYC. $203 for 2 steaks, 2 side and 2 drinks. Worth every penny. We left our theater tickets on the table; they called us right away! Great service!! The food was excellent and the chocolate cake is a must! I’ve eaten here twice now and both times the food and service have been outstanding. I’ve had the New York strip and Filet Mignon and both are superb. Recommend getting both with there signature peppercorn crust. Steak was great, couldn’t really say the same about the drinks I had, or the sides. A little too loud at the end, one very boisterous table. Overall, very good experience and excellent bisque. The food was just average tasting and small portions. The service was average too not really good. I had to keep calling the waiter to the table. I expected much more due to the cost. I had to apologize to my guests for my poor restaurant choice. We will never return or recommend this restaurant. The taste of our meals was not worth the $347 tab. The steak was charred, not seared. Also the menu was misleading. We ordered the Porterhouse for 2. The price was $64 but I guess there was some fine print we didn’t see because we were charged $132. I know this is New York and everything is expensive but a glass of tea was $5. It wasn’t even a big glass. I was not impressed at all and regret that I made the reservation. 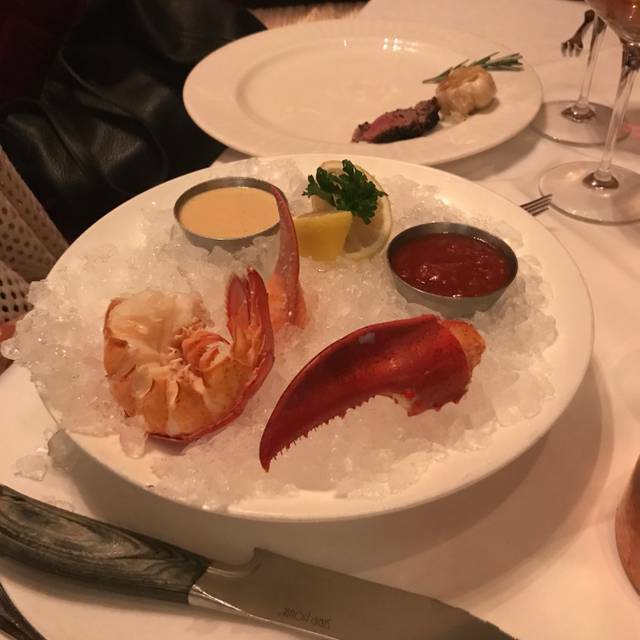 I’ve been to many well known chef’s restaurants that were expensive but the food was delicious! I’ll never go back to the strip. Second trip to NY and made sure we could come back to strip house. I’ve been to the strip house many times before. All for special occasion. But this time the man we had for service was terrible. He ignored our table and didn’t listen to our order. It was very disappointing. Food was awesome. Service was spot on. Vibe was excellent. Little on the expensive side but you won’t be disappointed! I went here on a lark. I usually go elsewhere for steak tartare but the place had closed. 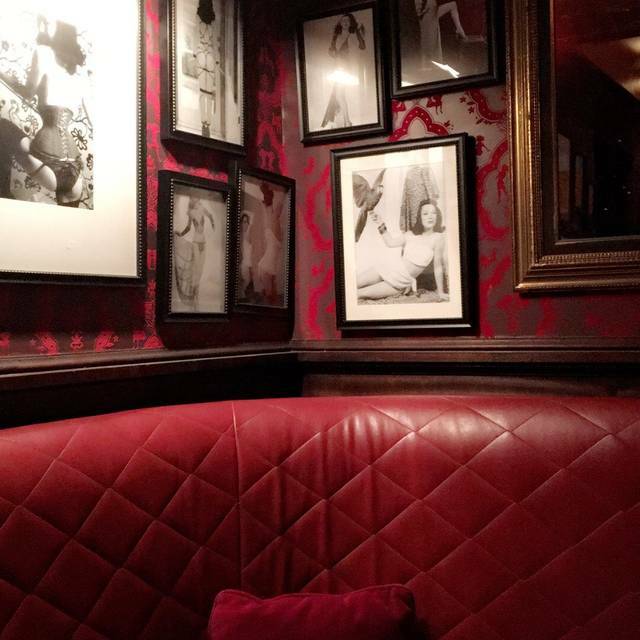 I decided to try strip house and had a delightful experience. I had a Caesar salad that was perfect. I got my steak tartare that was delicious and presented wonderfully. The waiter was incredibly attentive and took care of my every need. Would go back next time I’m in the city. Once again strip house did not disappoint. You truly get what you pay for here......food and service is top notch. The steak and sides were delish! The service was friendly and they were very attentive. Everything was wonderful. Thomas our server, was absolutely amazing!